Williams and Ohanian dated for 15 months before they let anyone know. Once he proposed, there was no reason to hide anymore. The news shocked the world. 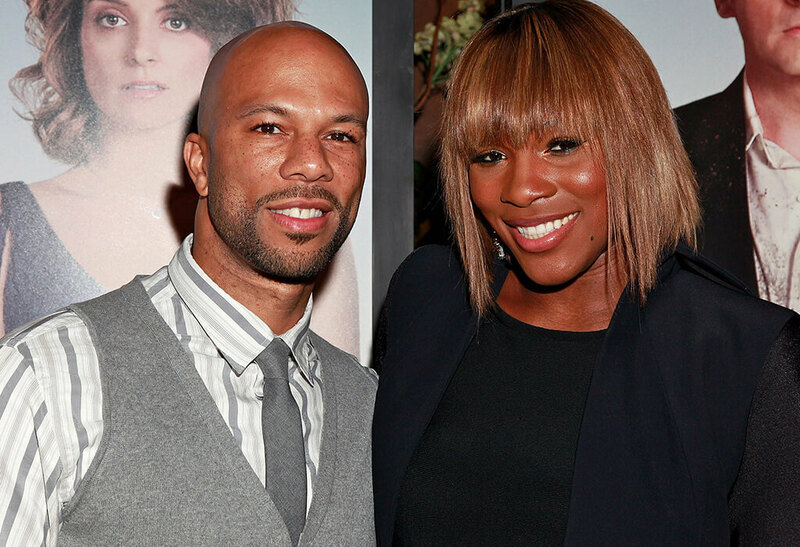 Before the announcement, Williams had been linked to both Drake and Common. No one suspected she would ever fall in love with a tech guy! As for Ohanian, he had just ended a five year relationship when he met Williams. He had been dating his college sweetheart and microbiologist Sabriya Stukes. Only one time in their 15 month courtship were Williams and Ohanian ever linked together. Up next, learn how many pregnancy tests William’s took before she believed it was true! Fans weren’t the only people shocked to find out Williams was pregnant. She learned herself right before she was scheduled to participate in the Australian Open! To make sure, she took six pregnancy tests, which all showed the same result. Determined to compete still, she got a doctors approval. When the world found out she competed and won, while pregnant, they were outraged. Even after Williams assured everyone that she was medically cleared to play, she was still labeled as irresponsible by naysayers. It didn’t help that her pregnancy reveal was an accidental Snapchat baby bump selfie! 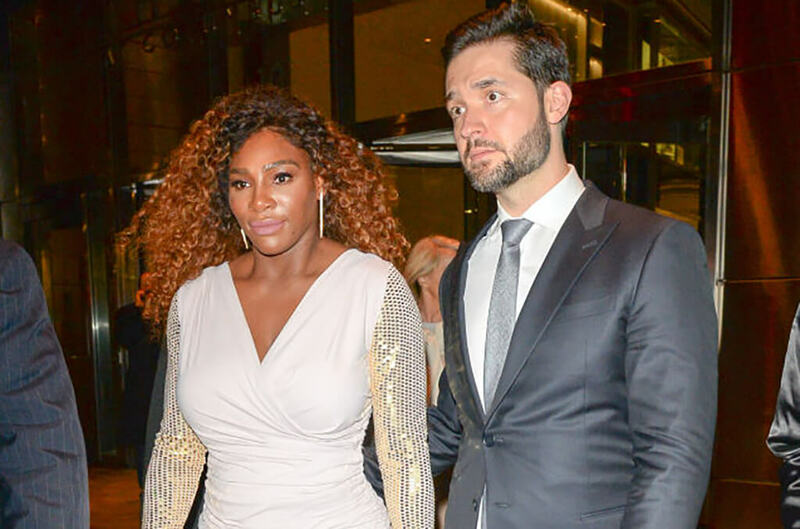 Amazingly, both Alexis Ohanian and Serena Williams say they never knew who the other person was before they met. Ohanion told Vanity Fair that he thought he was talking to Serena Williams, but he wasn’t a tennis fan so her wasn’t sure. 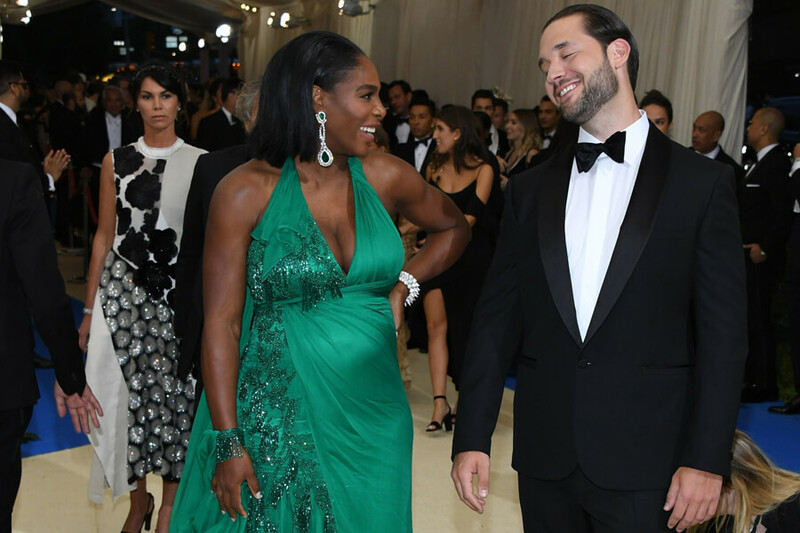 Serena also admitted she had never heard of Reddit before meeting Ohanian. She did lie about it once, though. When Ohanian asked her one day what she thought of that site, she said she had just logged off it. She then couldn’t provide any further details. A few weeks after they met, Williams and Ohanian went on their first date. The tennis icon was getting ready to compete in the French Open and invited Ohanian to join for a romantic weekend together. Ohanian accepted, because who would say no to Williams, but said he didn’t have high expectations. He knew that that even if she blew him off, he would still end up with an amazing story to tell his friends. Luckily for Ohanian, Williams kept her promise and they visited a zoo, several shops, and the Eiffel Tower. On the next slide, find out just how the big proposal went down! After spending a year with Williams, Ohanian knew he wanted to marry her. For their one year anniversary, he invited her to Rome, where he set up a trail of rose petals leading her to the spot they first met. There was even a plastic rat on the table just for fun! When Williams introduced her daughter, Olympia, to the world in September 2017, she kept the health complications she endured during her pregnancy a secret. A few months later she finally revealed that her heart rate dropped during contractions and emergency C-section had to be performed. Before the couple got married, they took Olympia to her first movie. 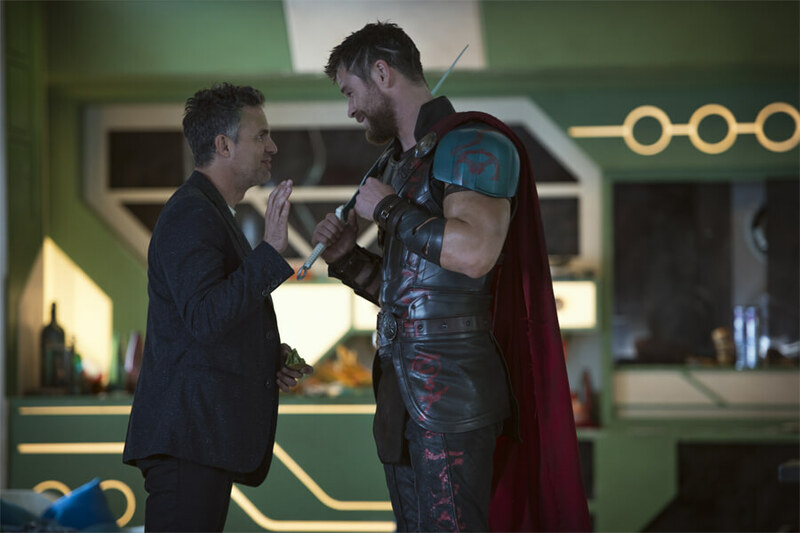 Ohanian rented out an entire theater so the family could see Thor: Ragnorak together, because Serena “really wanted to see her other man.” They knew the movie would be loud and violent, and planned accordingly. In a video posted online before the film started, they let audiences know that Olympia had ear muffs, and that Ohanian would cover her eyes when things got to violent. The cute video ends with Serena asleep on Ohanian’s shoulder. Our hearts have officially melted. Coming up, you didn’t think their wedding would be traditional, did you? Having such a non-traditional wedding was very important to Williams. 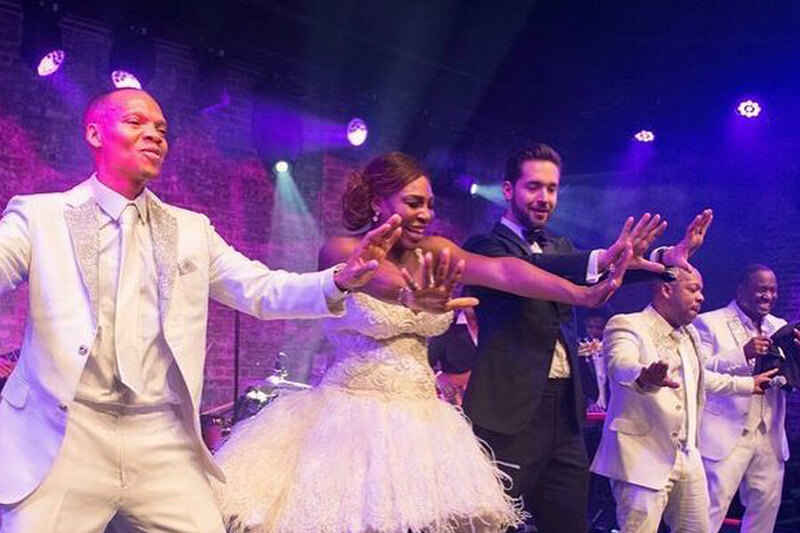 After the couple exchanged self-written vows, they shared their first dance together with the song, “Tale as Old as Time” and “If I Can’t Have You.” Before the night ended, Ohanian surprised Williams with an all-white carousel. 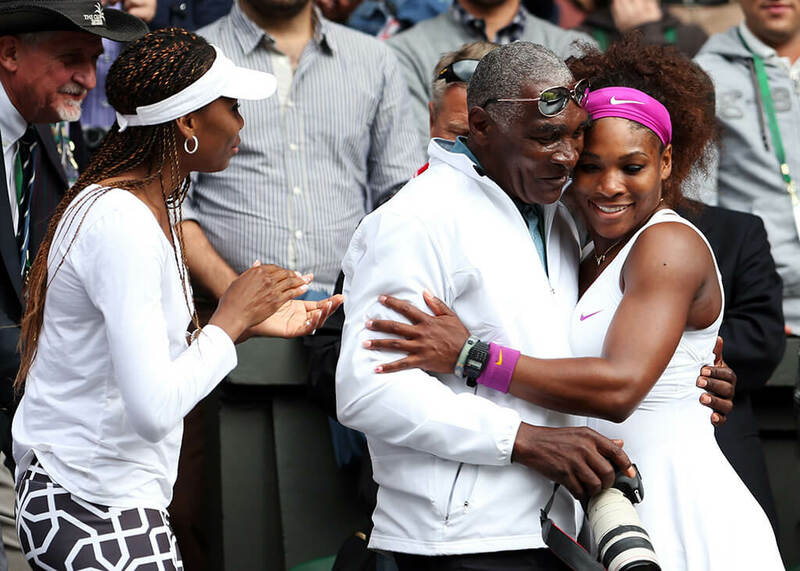 A few days later, Williams re-emerged on the tennis court with her family proudly watching from the stands. In her first match, she defeated Zarina Diyas. She would not go on to win the tournament, but she won the crowd over with athleticism and undeniable charm. 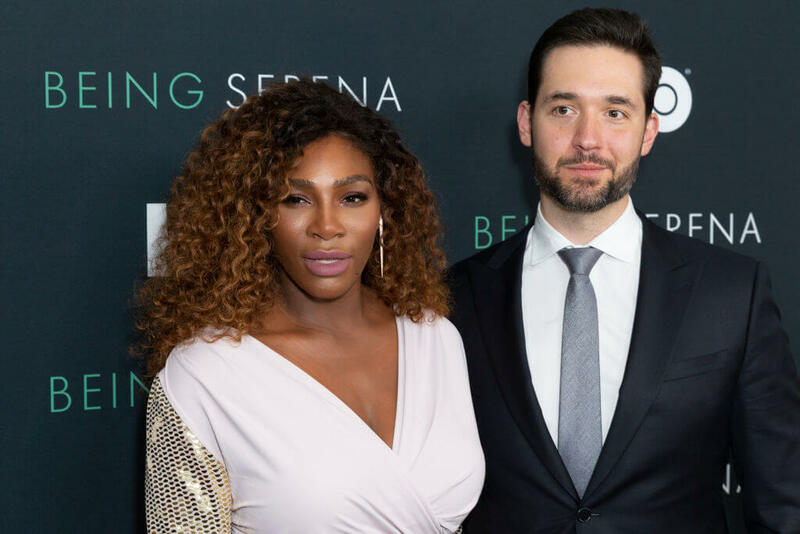 It’s okay to be jealous of Serena Williams and Alexis Ohanian. Their love is pure and perfect. They post the cutest and funniest videos of their adventures online for all of us to see. If you haven’t, you have to watch the one where they bust out some crazy dance moves while listening to New Edition. She also admitted that she would get mad when Olympia would cry, then feel guilty about feeling mad. The wave of emotions she felt becoming a mother surprised her, but if anyone is equipped to handle those emotions it’s her. 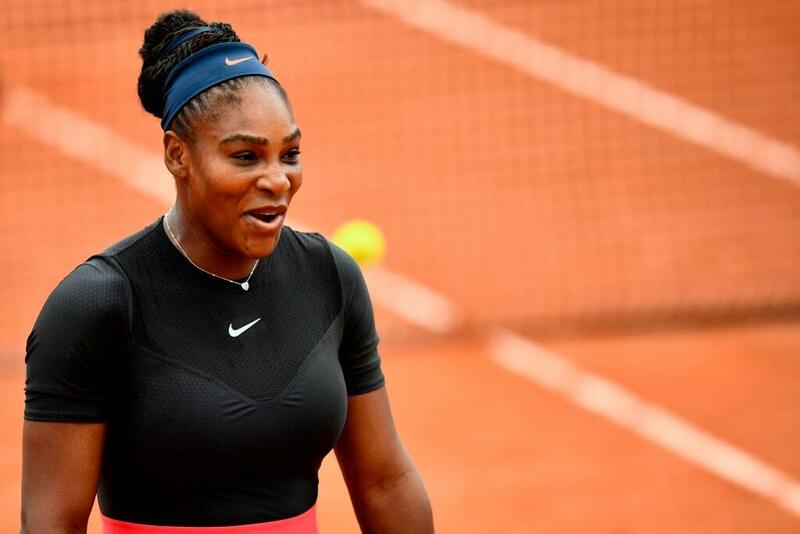 Serena Williams was the number-one ranked tennis player in the world after winning the French Open and announcing her pregnancy. Taking so much time off crushed her ranking, sending her all the way to 453. When the ranking was announced, the tennis world fought back on her behalf. 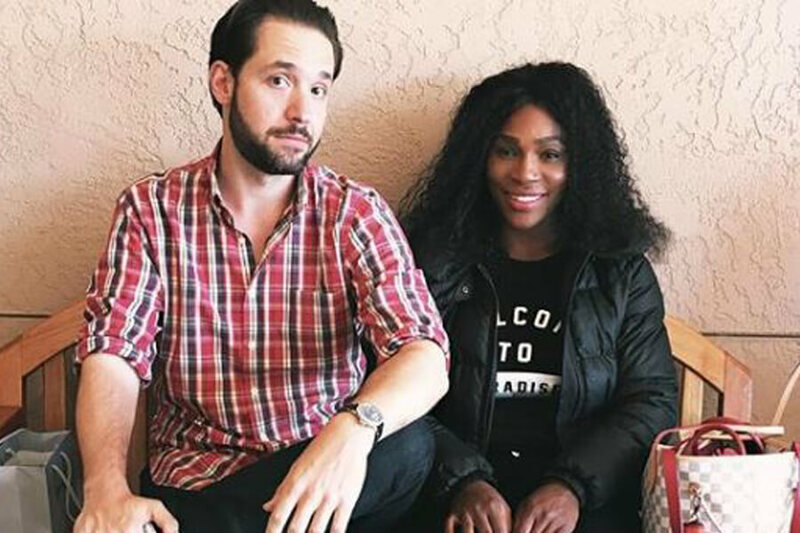 Alexis Ohanian is incredibly supportive of Serena Williams. He believes that men should champion the women in their lives, even when they’re more successful. That’s why he believes the most romantic thing he’s ever done for Serena is to just be there for her. Say what you want about how far society has come, some people are still surprised when interracial couples marry. Williams admitted as much with The New York Times, saying she never though she would “marry a white guy.” At the end of day, though, love is all that matters. 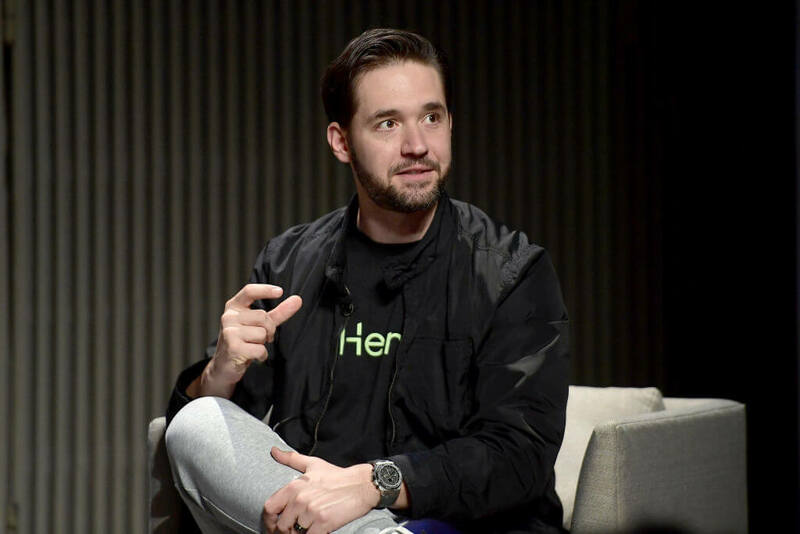 On the next slide, we reveal just how far Alexis Ohanian’s love goes. 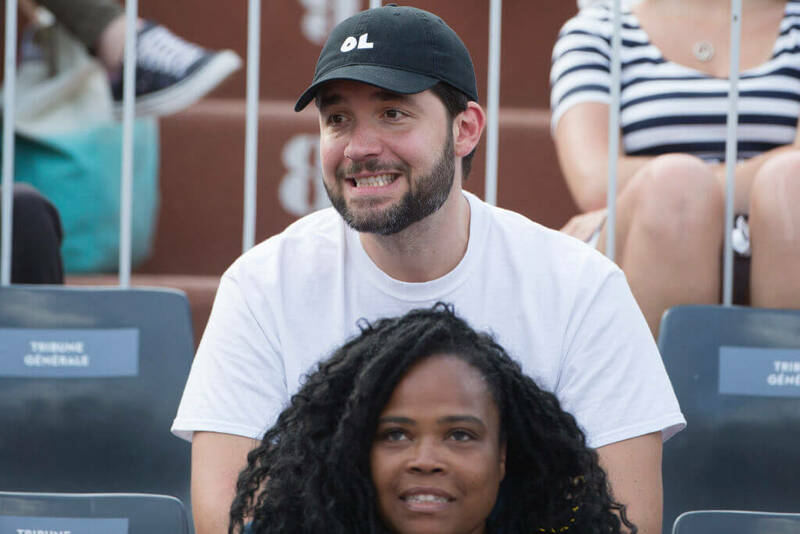 Ever since going to that first tennis match, Alexis Ohanian has been hooked on Serena Williams. He literally went from tennis “know-nothing” to the sports number-one fan. It helps when your wife is the best tennis player of all-time! 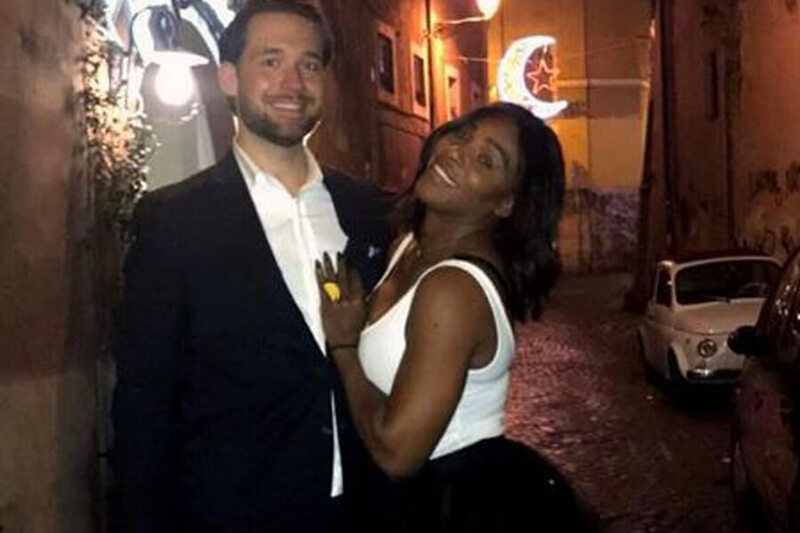 For over a year, Serena Williams and Alexis Ohanian kept their relationship a secret. He proposed in December 2016 in Rome. Less than one month before then, in November, Serena posted the first picture of them together as a couple online. 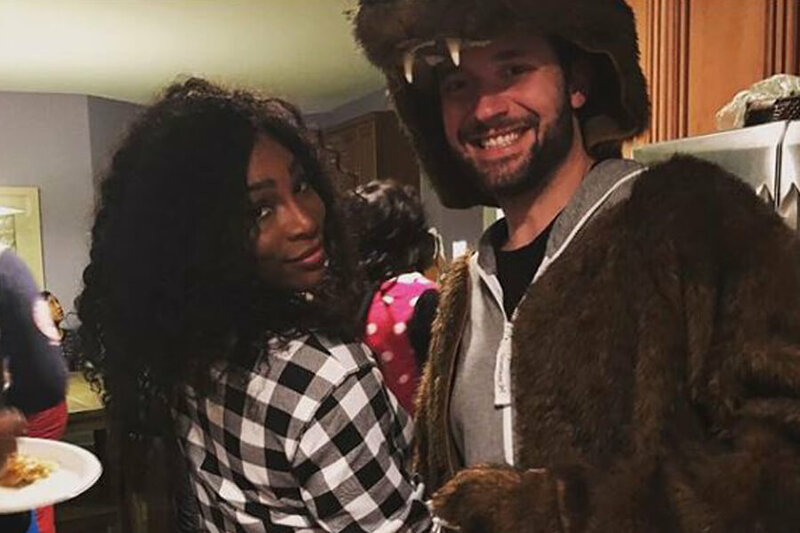 In the utterly adorable photo, Williams and Ohanian are at a costume party together wearing bear themed outfits. In the actual photo, Williams didn’t say anything about them being a couple. All she wrote was, “Bear necessities.” Even without a true confirmation, the writing was firmly on the wall. She has a point. Williams won her first Grand Slam at 17 years old and is still winning Grand Slams into her late 30s. She has the most titles ever in the open ear, and it’s not even close. She’s also earned $84 million in winnings, Yeah, she’s the G.O.A.T. 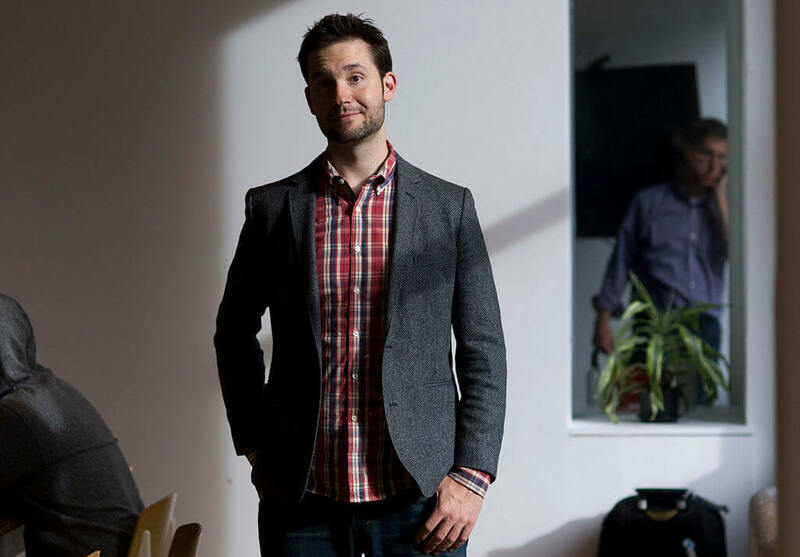 Alexis Ohanian is worth $9 million. After selling Reddit, he founded Initialized, a company focused on funding startups. Since starting the venture he has helped launch Coinbase for Bitcoin, as well as Instacart, a popular app where you can grocery shop from the convenience of your couch. 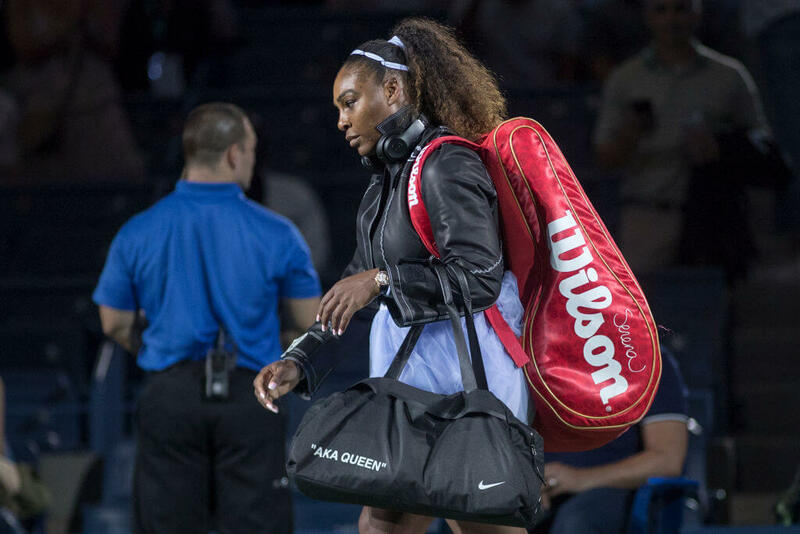 Serena Williams is worth $150 million. She has earned nearly $90 million in tournament winnings, and another $60 million in sponsorships. And if you think Ohanian is jealous at all that his wife is clearly the breadwinner in the relationship, then you clearly haven’t been reading this slideshow. 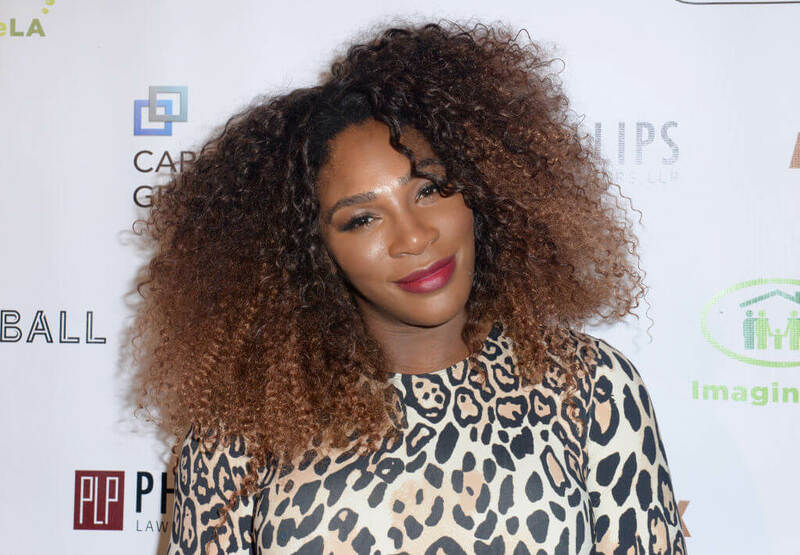 Serena first suspected she might be pregnant when she began feeling “off.” She bought a pregnancy test and ended up taking it just before an event for lingerie company Berlei, who she’s a spokesperson for. The news made her do a double take and she says her heart dropped. He’s seen what it takes to be the best in the world at something, and he admits that it’s a lot harder than some people give it credit to be. Just another reason why he loves Serena so much. 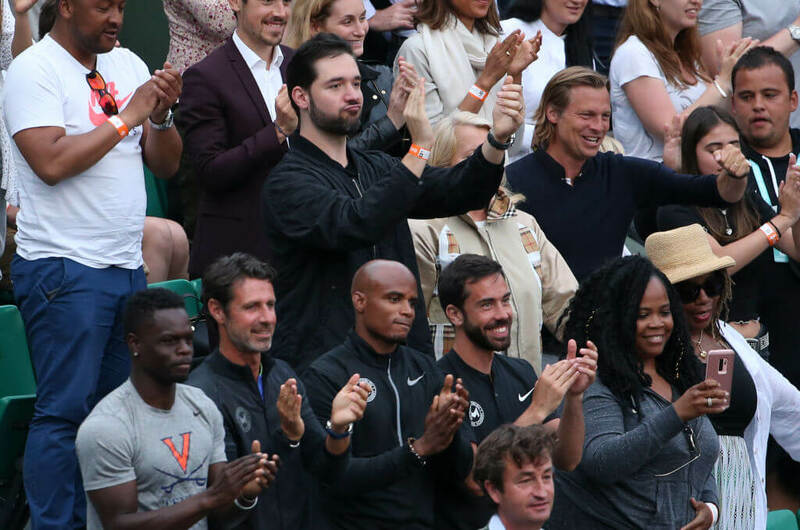 Before falling for Ohanian, Serena had dated other public figures in the past. She once dated Drake and Common, both famous rappers and key figures in the hip-hop and music production industry. Clearly, the two are very different from the man that she ended up with, as both of her former flings were somewhat controversial in the public eyes, unlike Ohanian. Although Common is much calmer and more ready to settle down than Drake, things still didn’t work out between the two. And we’re glad Ohanian is glad it didn’t! From the time it took them to start dating and when they were officiallty married wasn’t terribly long by today’s standards. They first met in 2015 but were married in 2017, many people today date for two years with no plans for marriage. When they walked down the aisle, people all over the world wondered if maybe that had been in over their heads by getting married so soon. Luckily, it worked out for the two of them and they appear to be happily married. Social media can be an incredibly dark place, filled with angry people that follow others just to make themselves mad and lash out. This was what had happened to Serena during her pregnancy. When certain photos were posted on social media, people began commenting about her weight gain and even making racial slurs and derogatory comments about the couples mixed relationship. Thankfully, Serena’s fans stepped in and defended her, subduing the haters. 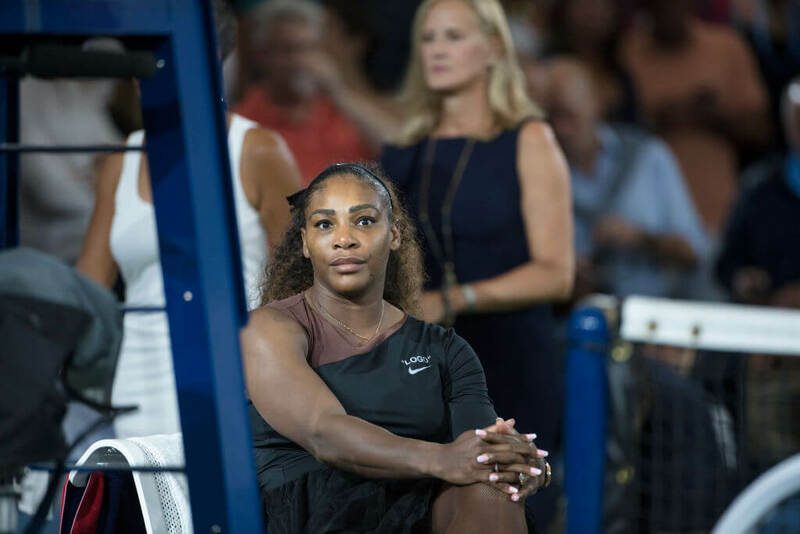 Serena openly thanked her fans for their defense, proving they will stand by her no matter what. For obvious reasons, Alexis’ line of work isn’t necessarily as connected to staying fit as Serena’s. While she’s exercising every day, becoming as fit as possible, Alexis is on the computer. So, in order to make sure that her man is healthy, fit, and happy, she has encouraged him to lead a more active lifestyle. From when the two started dating until now, pictures have revealed that Ohanian has been going to the gym frequently and taking his health seriously. After all, it would be hard not to if your wife is a professional athlete. 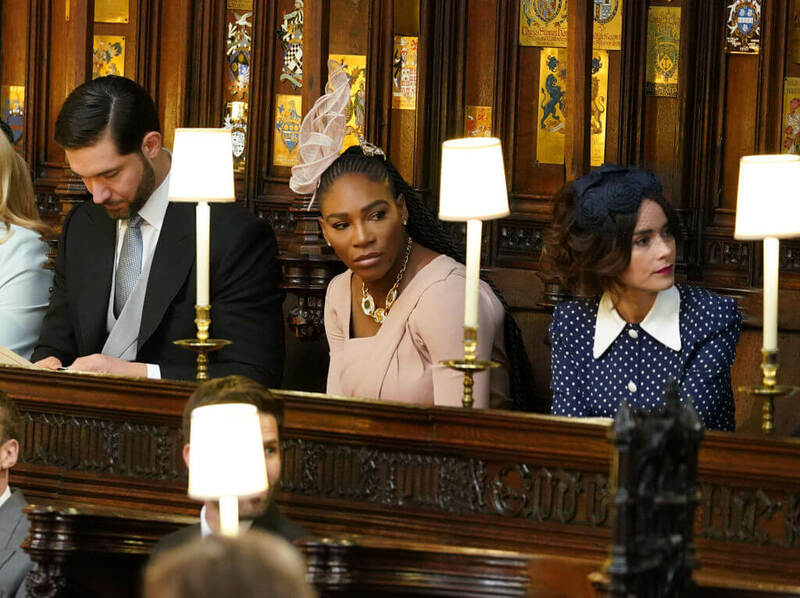 In the wake of the drama about Meghan Markle’s father not attending the royal wedding, Serena Williams opened up about how her father was not there to walk her down the aisle either. She confessed that her father informed her just an hour before the wedding that he would not be there to hand her off. He was in New Orleans, had a suit, and was ready to go until he suddenly backed out. He wrote her saying “Serena, I don’t want you to be mad at me, but I just can’t walk you down the aisle. I’m not myself anymore. I’m just too nervous.” Although this might have been stressful to most brides, Serena kept her cool and was more than understanding. On November 22, 2017, Serena showed off her dazzling wedding ring along with a picture of her adorable daughter Alexis. The ring is an emerald cut diamond ring with an eternity band that had a teardrop concave. This created the look of a halo around the large center stone. To make the ring even more impressive, the tip of the teardrop was three more pear cut stones. The ring itself was was 14 karats with the actual wedding band being made by XIV Karats LTD. 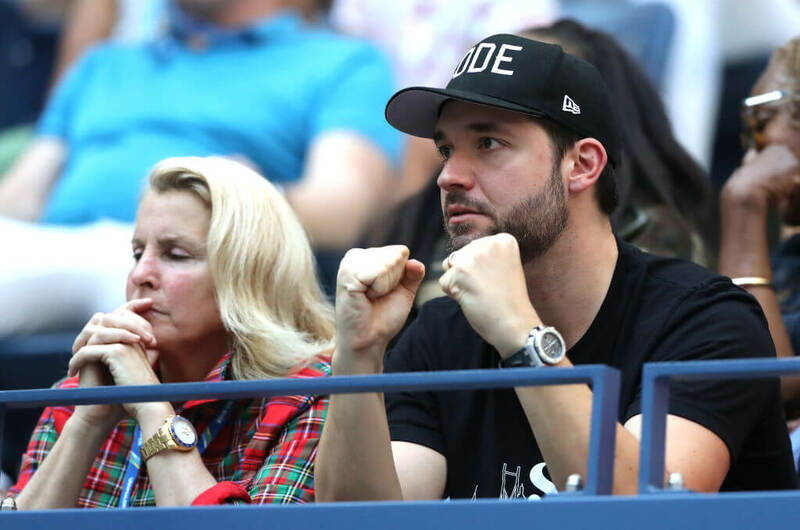 Although their daughter, Alexis Olympia Ohanian Jr., turned one year old on September 1, 2018, the family didn’t throw an elaborate party as many people would assume. 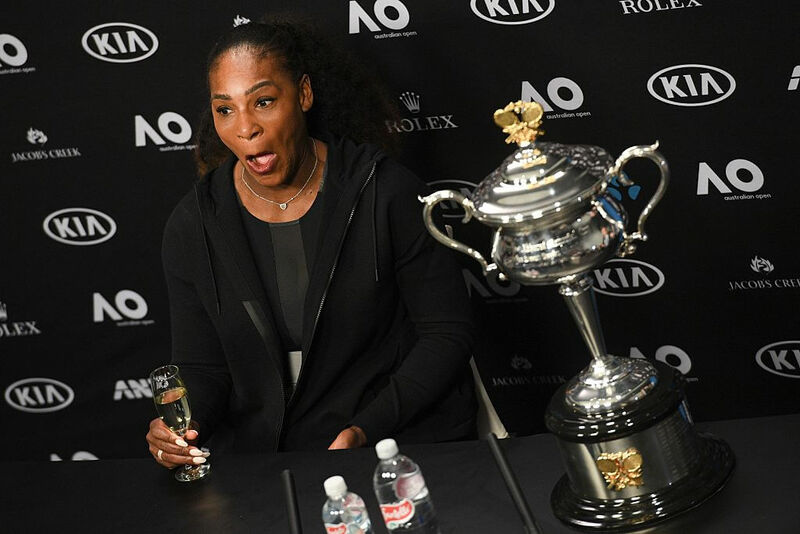 Serena explained that “Olympia doesn’t celebrate birthdays […] We’re Jehova’s Witnesses so we don’t do that.” Jehova’s Witnesses don’t celebrate birthdays, Christmas, Easter, and other holidays because the religion believes that specific celebrations displease God. Serena and Alexis decided on the Bahamas to enjoy their honeymoon together. Amazingly enough, anyone can stay where they stayed, as long as you have $35,000 a week to shell out. The couple stayed at the Kamalame Cay Resort, just off of the Andros Great Barrier Reef. 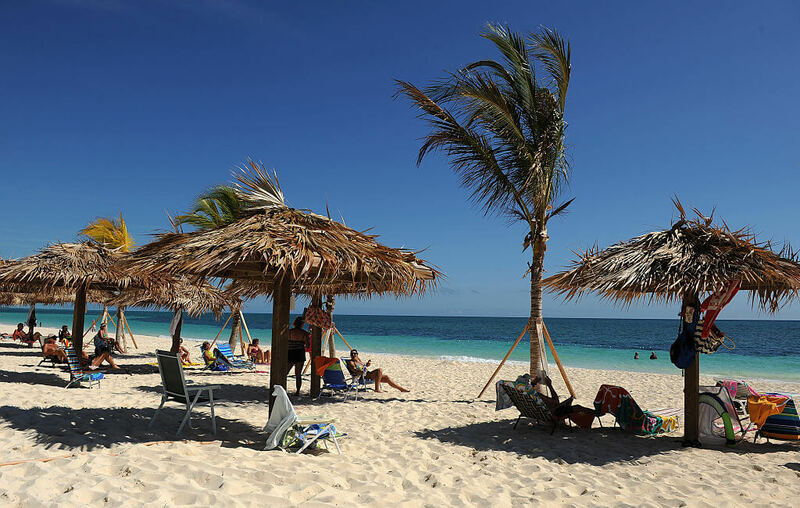 The couple brought along their infant daughter to the honeymoon at their four-room oceanfront villa. This was a perfect place for the new family to relax, enjoy each other’s company, and take a breather from all of the chaos in the outside world. Although Ohanian was lucky enough to be his own boss and incredibly wealthy at the time of his daughter’s birth, that’s certainly not the case for everyone. Since then, he has become a an advocate for a law mandating family leave for mothers and fathers. 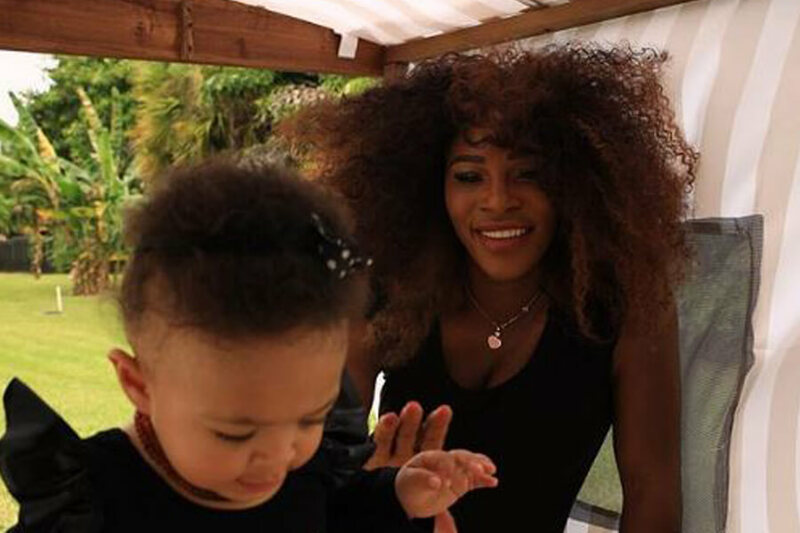 Amazingly, considering how busy Serena is and how much traveling she does, she hasn’t gone a day without seeing her daughter since she’s been born. of course, this is also to the credit of her highly reliable staff. Already, Alexis Jr. has traveled to North Carolina, all over California, France, England Miami, Ohio, New York, the Bahamas. 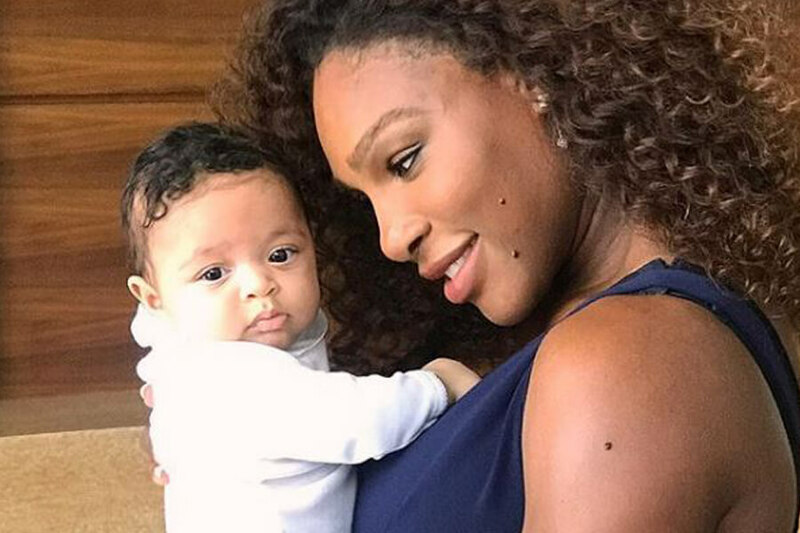 Recently, Serena started the hashtag #ThisMama on social media to post about her experiences being a mother and to encourage others to do the same. She stated that Kids humble us. The other day on a flight home Olympia had so much energy and insisted on running up and down the aisle. When I finally got her to calm down and sit still, she threw up all over me and in the aisle.” She shared her story and wants the hashtag to become a platform for all mothers (and fathers) to share their experiences being a parent to create a sense of community for everyone. While in the process of trying to lose weight in order to get back on her game, she was forced with a choice that broke her heart. When it became apparent that breastfeeding was holding her back from losing weight, something she needed to do in order to get back on top. 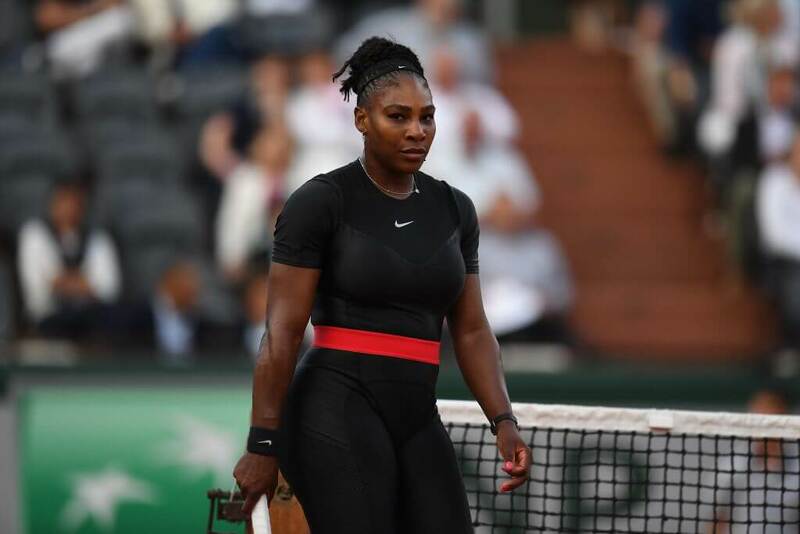 While Serena has made it clear that she’s comfortable in her own skin, she’s been trying to get back into shape extra-hard simply to play tennis. However, it wasn’t always that way. Back in 2004, Serena publicly expressed that she desired to be a size 4. 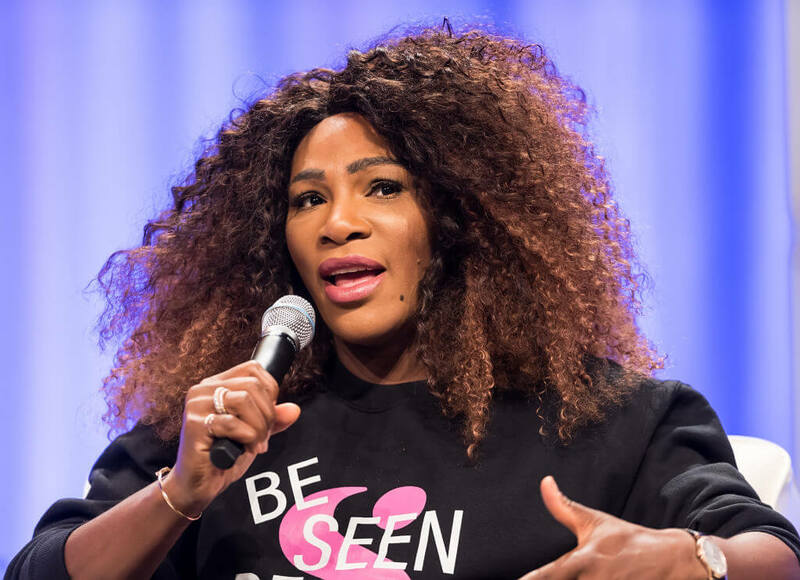 While her rise back to the talk, her marriage, and the birth of her child has been the talk of the town, Serena was also having doubt about getting back into the game. Like most other parents that are doing what they love and have kids, it’s hard to not be around them all the time. 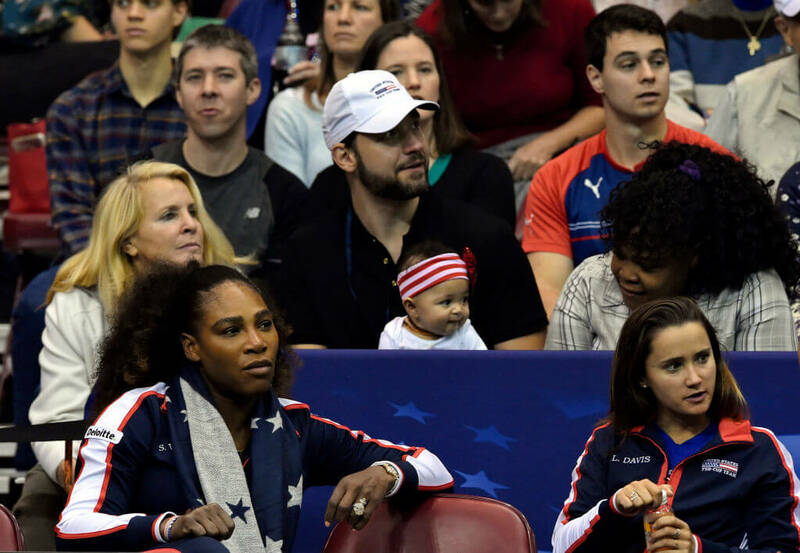 In an interview with Vogue, Serena admitted that “To be honest, there’s something really attractive about the idea of moving to San Francisco and just being a mom.” This way the family could start fresh and be close to the Reddit headquarters where Ohanian had been previously located. Although this was before Serena made the Wimbledon final, it’s clear that the couple have had thoughts about growing their family. Earlier in the summer of 2018, she told InStyle that if she wasn’t still playing and working hard, then she’d definitely already be pregnant again with another baby. She also claimed that she couldn’t say for sure that she would still want to play after having another child. Having one has already taken a toll on her as a professional athlete and as a mother, so two might be a little much. 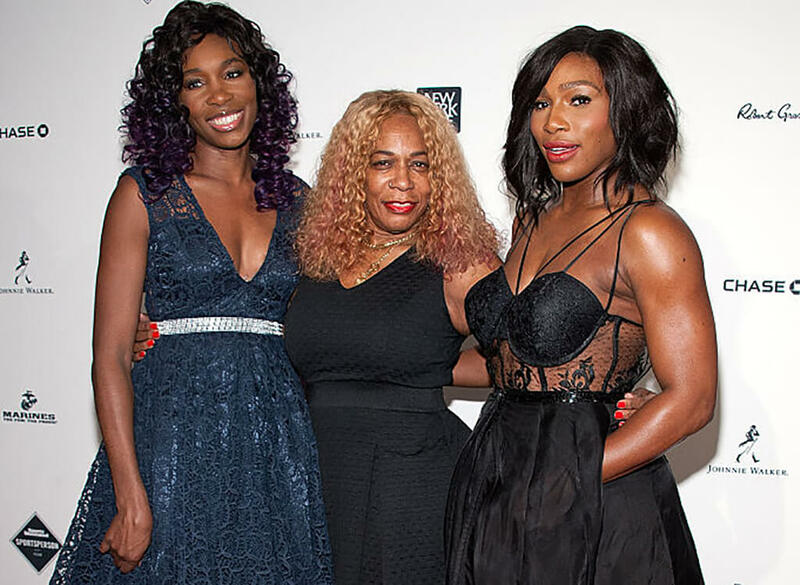 As we’ve already mentioned, Serena has suffered from postpartum depression since the birth of her little girl. She feels like she isn’t being the best mom that she can although she’s proven otherwise. She notes that she reads on the issue frequently and how sometimes the symptoms of her depression can last for years. 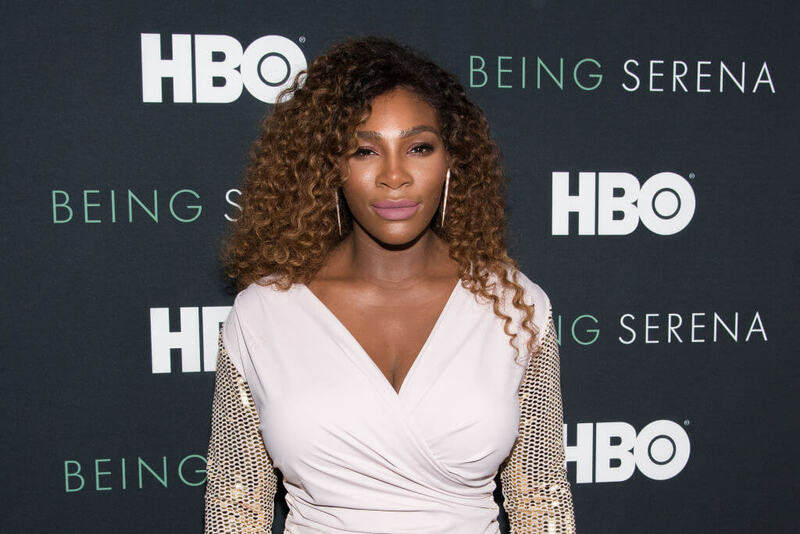 In May 2018, the documentary series Being Serena was released on HBO and partnered with IMG’s Original Content group. Being Serena provides an inside look into the personal life of Serena during her pregnancy, marriage, and experiences balancing being a new mother and one of the world’s greatest professional athletes have to have ever lived. The show also gives a first-person perspective into her growth from being just a tennis player into a businesswoman, investor, and a major force in the worlds of technology, fashion, fitness, and philanthropy. Apparently, it was Serena who approached HBO with the idea for the miniseries. 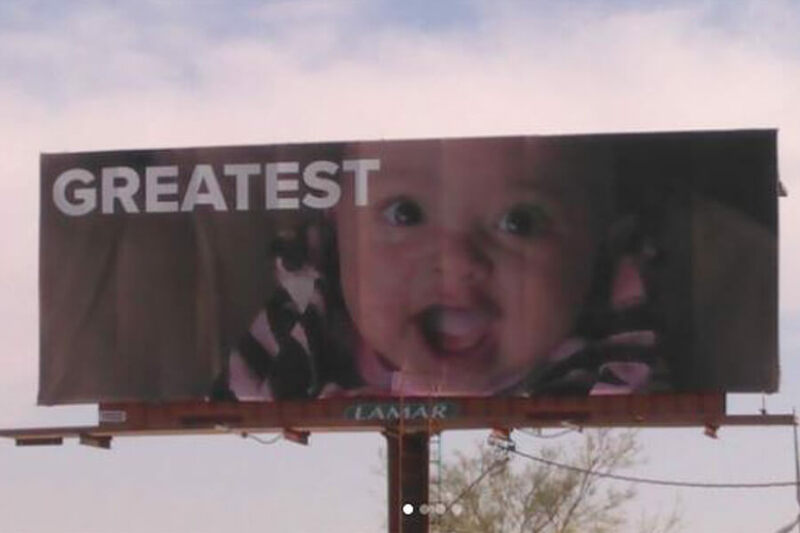 She says that she remembered all of the footage her father had of her mother when she was pregnant and had her, so she wanted the same for her daughter. She also saw it as an opportunity for the world to see her for who she really is. 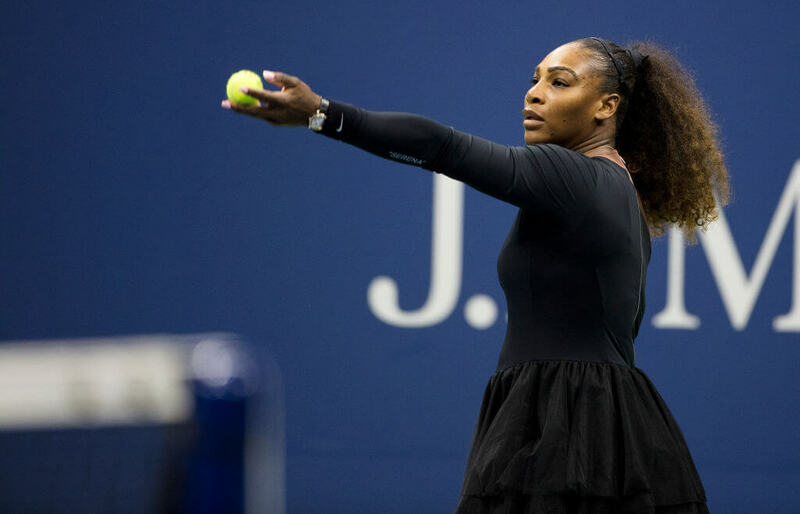 She admits that “A lot of people see me on the court, and they only judge and see that side of me, and there’s so much more to my life and to me […] That’s not me, actually to be honest, on the court. As much a part of my life as it is, I become a different person when I play tennis. This series was the perfect opportunity to prove otherwise.